Looking for Battery Box parts, Hood parts, Radio Antennas, Cowl Handles or Folding Steps for a school bus? We don't provide the body parts, but we can help you with parts that help the body to function. 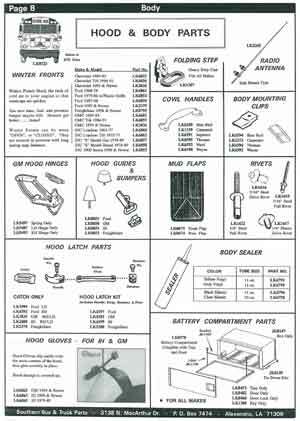 The following catalog pages will help you find the part you need to get your bus back on the road again. Just click a page! 5. Part description - where it's mounted on the bus - what part "does"